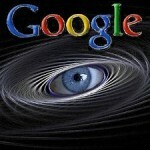 What If Google Announced: “Google Is Big Brother”? Google may in fact be George Orwellâ€™s â€œBig Brotherâ€�. According to the news today from AP, Google will be using its technologies and user behavior to better determine how to target advertising. Many feared Googleâ€™s $3.2 billion purchase of DoubleClick last year because of the implications, and now Google has acknowledged having a â€œuser learningâ€� program in place. Ads refined by this technology are set to be launched within the next few weeks, making it rather apparent Google has had this ability for some time. Initial ads will appear on YouTube and other sites within Googleâ€™s ad network according to the AP report. Google claims they intensified their monitoring of users back in December, when they began inserting cookies from DoubleClick on their partnerâ€™s Web sites. However, logic would seem to dictate that Google has been working on this technology since the DoubleClick acquisition. Marc Rosenberg, Executive Director of the Electronic Privacy Information Center is just one of many who are concerned about these developments. Googleâ€™s ad strategy has been â€œsearch specificâ€� rather than â€œbehavioralâ€� like competitors Yahoo! and Microsoft. Rosenberg and others are hoping that this news will prompt the Federal Trade Commission to re-examine the DoubleClick deal. Googleâ€™s position is unique in that their search dominance offers them inestimable potential to â€œharvestâ€� data from users. Besides affording them a nearly exclusive advantage over competitors, the privacy issue looms large here. We are pleased that our launch of interest-based advertising includes innovative, consumer-friendly features to provide meaningful transparency and choice for our users. The latest foray of Google announcements should be considered indicative of a broader strategy. Announcing expandable ads just the other day, along with todayâ€™s news, may indicate larger strategic movement for the Internetâ€™s biggest winner. Whether these moves are in response to Yahoo!, Microsoft or even recent worldwide economic upheaval ( described by CEO Eric Schmidt as â€œdireâ€�), Google appears to be tipping its hand on user data to a degree. From this writerâ€™s perspective, these strategies address market issues on several fronts. Beyond competing with its distant rivals in advertising, Google is probably circumventing any ad market losses to Microsoftâ€™s new Kumo search engine. All be it something of a stretch, if Kumo is powered by an accelerated developmental version of Powerset, a big win for Microsoft can only be negated with an advanced ad model on the revenue side of the equation. Regardless of where and at what Googleâ€™s strategy is targeted, it is obvious they are making a big push. Remember this, Google’s advantage is not in search relevance as much as it is in their advertising dominance.